The Belgian Law of 2 August 2002 on the supervision of the financial sector and the financial services (the Law of 2 August 2002) contains a significant number of provisions that affect the relations between banks and their clients. The provisions relate to, among other things, the transposition in Belgian law of the original MiFID rules (MiFID I).2 These rules set forth the duties of a bank when providing advisory or portfolio management services to clients (see Section VII, below, for the regulatory impact of the upcoming transposition in Belgium of the MiFID II rules). In banking disputes, the general evidentiary rules under Belgian law apply as a rule. This means that each party needs to evidence the claims it makes and the defences it raises. Thus, a banking client who asserts contractual or tortuous liability claims against a bank needs to show: (1) a breach of contract (contractual liability), or a breach of general duty of care, which includes the breach of a statutory provision (tortious liability); (2) the damage incurred by that client; and (3) the causal link between the breach and the damage. For instance, in disputes regarding discretionary portfolio management, clients often invoke one or more asserted breaches of the MiFID I rules as a basis for their civil claims. Applicable with effect as of 9 September 2013, the Law of 2 August 2002 also contains a provision in its Article 30 ter that is unrelated to the MiFID I rules, and that aims to facilitate the burden of proof for investors in liability disputes. It sets forth that, if, at the occasion of a financial transaction, a bank breaches one or more specifically listed statutory rules (which include a number of MiFID I rules) and the client suffers damage because of this transaction, then the transaction is presumed to be the consequence of the breach. This presumption of a causal link between the breach and the transaction is rebuttable. It is without prejudice to the possibility for the client to invoke other rules, and cannot be contractually waived by the client. The practical usefulness of this presumption should, however, not be overrated. Indeed, it is not a presumption of a causal link between the breach and the damage incurred by the client, but only a presumption that the transaction results from the breach. The client still needs to evidence that the asserted damage was caused by the breach. Through two laws of 27 and 28 March 2014, a class action mechanism was introduced in Belgian law with effect from 1 September 2014. A class action aims to offer reparation to consumers who have suffered a collective prejudice because of the breach by an undertaking of one of its contractual commitments or one of the European or Belgian law statutory rules that are specifically listed by law. These rules concern, among other things, competition law, market practices and consumer protection law, payment services, certain insurance contracts and certain provisions of the Law of 2 August 2002. The notion of ‘collective prejudice’ refers to all the damage that has a common cause and that has been suffered by the members of the group. The purpose of the class action is to ensure that connected questions of fact and law are treated in the same procedure, with both opt-in and opt-out features. The handling of class action proceedings has been centralised for the entire Belgian territory within the jurisdiction of the Brussels courts. While a class action might also be initiated against a bank because of certain practices and activities of the bank, a class action is only open to consumers. A consumer is an individual (physical person) who acts for a purpose that does not enter within his or her commercial, industrial or professional activities. The notion of ‘consumer’ for the purposes of the class action legislation is not identical to the notion of ‘retailer’ for the purposes of financial legislation. Hence, for instance, small and medium-sized enterprises, which often qualify as financial ‘retailers’, cannot benefit from the class action mechanism. Interim measures that are typically used in banking litigation are summary proceedings (i.e., inter partes proceedings that are initiated and handled in an expedited manner in cases of urgency (with the possibility for ex parte motions in cases of extreme urgency)); and attachments and similar forms of measures to protect the assets of a debtor against disposal pending the proceedings on the merits. Interim measures are often requested in summary proceedings by a debtor who is in financial distress or in outright insolvency proceedings (e.g., in US Chapter XI-type restructuring proceedings, where the debtor remains in possession of its business but benefits from a court-supervised payment moratorium and other protection towards its creditors, including its bank creditors). In such a distress situation, the banks have typically already terminated or accelerated their credit facilities with the debtor because of a lack of fulfilment by the debtor of the terms and conditions of such facilities (e.g., the timely payment of interests or the debtor’s compliance with the covenants relating to its financial soundness or with the value of the collateral that the banks have received), or intend to do this during the restructuring. Such termination or acceleration then gives rise to a reimbursement claim of the banks that is immediately due, which the debtor cannot usually meet. In the same scenario, the banks may also start enforcing their collateral or simply refuse to grant any further flexibility to the debtor as regards the use of assets that the debtor has collateralised to the banks. Through summary proceedings, the debtor might try to force the banks to cancel the termination or acceleration of the credit facility and to reinstate the facility, so that the debtor can further draw on it or, at the very least, is not faced with significant additional outstanding debts. Also, the debtor may try to obtain a court order obliging the banks to refrain from exercising their contractual or statutory security rights (e.g., enforcing a pledge or charge on inventory). The courts sitting in summary proceedings are reluctant to grant such measures and to interfere in the contractual and statutory rights of the banks towards their debtors. While such courts only assess prima facie the rights of the respective parties, and may also carry out a balance-of-interests test (i.e., a test to determine whose interests merit, in view of the legal and factual situation, more protection in the interim pending the resolution of the dispute on the merits), they will typically respect the exercise by a party of that party’s contractual or statutory rights (e.g., the termination of a credit facility by a bank for breach of contract by the debtor), unless this exercise constitutes an abuse of rights. Such abuse covers situations in which the beneficiary of a right exercises this right with the sole aim of harming the other party, or without a reasonable and sufficient interest, or in a manner that manifestly exceeds the boundaries of the normal exercise of that right by a normally prudent and careful person (i.e., a bank in this context), or has chosen to act in a way that most harms the debtor. The same applies to the exercise by bank creditors of their security rights (e.g., the right of a bank that is the beneficiary of a pledge over inventory of its debtor to refuse to give up its control over this pledge by allowing the debtor to use part of this inventory). Belgian restructuring legislation even explicitly sets forth that the prohibition for creditors to take enforcement actions against a debtor that benefits from a court-ordered judicial restructuring, does not affect receivables pledged to creditors. Notwithstanding this provision, courts sitting in summary proceedings have jurisdiction to suspend the enforcement of such collateral rights in situations where the conditions for relief in summary proceedings are met. Courts will, for instance, verify whether, prima facie, the banks exercised or relied in a legitimate manner on their security rights. They will, in this context, consider whether the value of the security rights is proportionate to the amount of the outstanding claim. The market value of these rights is, in a distress scenario, typically much lower than the amount of the claim of the banks, in which case there is no issue. By contrast, in the (unlikely) scenario that this value would largely exceed this amount and would not be subject to market fluctuations, the banks could be faced with a court order that mitigates the impact for the debtor of the refusal of the banks to release at least part of the debtor’s assets that they hold as collateral. By contrast, courts sitting in summary proceedings have considered, for example, that an immediate enforcement of a pledge was an abuse of right and had to be suspended, as the benefits of such enforcement did not manifestly outweigh the interest of the debtor to ensure the continuity of its undertaking. Anti-suit injunctions are one specific form of interim measure on which the Belgian courts occasionally have to rule in cross-border banking disputes. An anti-suit injunction might have the aim of prohibiting one of the parties from initiating proceedings in a jurisdiction other than Belgium, for instance, because the applicant of the injunction considers that its rights of defence will not be sufficiently protected in that foreign jurisdiction. Belgian courts are also reluctant to grant such injunctions as they consider them to be exceptional and intrusive measures that should only be granted in very limited circumstances where the foreign proceedings that are the subject matter of the injunction would seriously prejudice the rights of the applicant, and be vexatious and oppressive. Common examples of such circumstances are: (1) initiating proceedings in a forum other than the ‘natural forum’ for the dispute to give a serious, often tactical, disadvantage to the defendant in that foreign procedure (i.e., the applicant for the injunction) and, thus, to force that party to settle the dispute; or (2) initiating such foreign proceedings in breach of an agreement between the parties to refrain from initiating such proceedings. Pursuant to Article 458 of the Belgian Criminal Code, persons entrusted with a duty of confidence by status or by profession (such as attorneys who are members of a bar) cannot reveal confidential information entrusted to them by their clients, except where they are called to give evidence in legal proceedings or where the law requires them to disclose the information in question. This is called professional secrecy. In addition, the Professional Conduct Rules of the Bar forbid a lawyer from testifying to facts that were revealed to him or her during the course of the exercise of his or her profession. However, a lawyer may reveal confidential information if it is necessary for his or her own defence in a criminal or civil case. Case law also indicates that legal professional privilege is enshrined in Articles 6 and 8 of the European Convention on Human Rights. The documents protected are those that form correspondence between attorneys and their clients, as well as the attorneys’ legal opinions and the notes both from attorneys and from their clients regarding these communications. Legal privilege does not apply to the case materials themselves, and official documents, such as judgments or trial briefs, are public. The voluntary communication to third parties of documents protected by professional secrecy will result in those documents no longer being protected. Correspondence between Belgian lawyers is also confidential in principle and cannot be used as evidence. However, some correspondence between lawyers will be classified as official and can be produced in court. The Professional Conduct Rules of the Bar determine how the distinction should be made. Conflicts are resolved by the head of the bar. Pursuant to Article 5.3 of the Code of Conduct for European Lawyers, correspondence between a Belgian attorney and an attorney from another EU Member State will only be privileged if it is expressly marked as ‘confidential’ or ‘without prejudice’. Legal actions taken in violation of the attorney–client privilege will be deemed null and void. In civil cases (including in banking disputes), the court cannot accept privileged information as evidence. In-house counsel are not subject to Article 458 of the Belgian Criminal Code. However, in-house lawyers’ privilege has been recognised, to a certain extent, by the Belgian Act of 1 March 2000 establishing a Company Lawyer Institute. Pursuant to Article 5 of this Act, legal opinions rendered by in-house counsel who are members of the Institute, for the benefit of their employers, are confidential. In-house lawyers’ privilege was recognised, with reference to the Act of 1 March 2000, by the Brussels Court of Appeal in a decision of 5 March 2013. While this decision concerned the specific context of an investigation by the Belgian competition authorities, its effect could go beyond this context and strengthen the recognition of this privilege in other areas as well. Several conditions must be fulfilled before opinions given by in-house counsel may be deemed privileged. The advice must be legal in nature, and not commercial or operational. Only opinions from in-house counsel who are members of the Institute and acting in their capacity as counsel are privileged. The privilege does not extend to mere correspondence. Furthermore, only advice given to the employer (as opposed to third parties) is privileged. The advice will lose its privileged status if it is treated non-confidentially by its author and its addressee. For example, legal opinions circulated to a large number of people may lose their privileged status. A number of recent banking disputes concerned multiple and complex contractual relations between banks, including Belgian branches of foreign banks, and their clients, particularly large corporates that have a cross-border customer base. These relations may, for instance, consist of a credit facility granted by the bank as well as a derivatives transaction entered into by the client with the same bank, typically to hedge its foreign exchange or interest rate exposure. In such cases, the credit facility is often governed by Belgian law with the jurisdiction of the Belgian courts in case of disputes, while claims under the derivatives transactions are to be settled by an English-governed International Swaps and Derivatives Association agreement, for example, with the exclusive jurisdiction of the English courts. Belgian courts typically enforce such clauses rigorously. Thus, they will refuse to handle proceedings brought by the client against the bank with claims under both the credit facility and derivatives, and will instead raise their lack of international jurisdiction for the derivatives claims. There are various sources of banking disputes in Belgium. First, there is the traditional banking litigation regarding credit facilities and related disputes between a bank and its borrowers. This litigation might also include liability claims by a debtor – or its trustee in case the debtor has been declared bankrupt – against the lender for having unduly granted, maintained or terminated a credit facility. Since the 2008 financial crisis, there has also been a growing number of disputes involving banks that concern derivatives transactions or similar financial products, as well as disputes between banks and clients (typically corporates or wealthy individuals) to whom the banks offered advisory (or discretionary) portfolio services, and who are unhappy about the performance of their portfolio (i.e., mis-selling claims). Large-scale mis-selling claims typically involve allegations that misleading or insufficient information was provided prior to the transaction being entered into. However, it is not only contract and financial law that are relevant in such disputes – an issue that increasingly arises is the tension between financial and consumer protection legislation. Retail investors (who, as aforementioned, are not included in the definition of ‘consumers’ under Belgian law), in particular, argue that even if a financial institution has complied with all the information obligations that are contained in financial legislation (e.g., under MiFID or the Prospectus Law), it may still be liable under consumer protection legislation for having misrepresented the information provided to them. In certain areas, such as the public offer of financial instruments, the legislator has adopted statutory rules that exclude such argument. Such rules unfortunately do not exist in every area where financial law requirements might conflict with consumer protection considerations. In addition, while Belgian mis-selling legislation is driven by EU law, it often goes beyond a mere one-to-one implementation of the EU law requirements. Investor-friendly rules are often added, for instance, to remove the evidentiary burden from claimants (see Section I, above). Even outside the ambit of class actions, mis-selling disputes can easily be initiated by groups of investors that act collectively, usually on the basis of background initiatives by investor advocacy organisations who offer to represent their interests on a for-pay basis. In Belgium, mis-selling and related financial disputes typically consist of a mixture of large-scale civil litigation, criminal proceedings and regulatory investigations, which are pursued in parallel. Legal entities can be criminally prosecuted in Belgium, and financial institutions can be criminally prosecuted for banking practices, either with or without their directors or senior managers. In Belgium, settlements of mis-selling claims with the regulatory and criminal authorities, for example, are possible but must be separately negotiated and entered into. They typically require that the financial institution concerned satisfactorily indemnifies the investors. In the past, the Belgian criminal authorities were traditionally more active than the financial regulators in enforcing and sanctioning practices that affected retail investors. However, the significant enforcement and sanctioning powers that regulators have obtained, together with the changed regulatory and policy environment following the 2008 financial crisis, have led to an increased activism by regulators to challenge certain banking practices, especially in relation to retail investors. This trend is expected to continue. 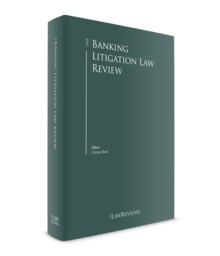 Finally, a specific source of banking litigation is appeals by financial institutions against regulatory decisions of Belgian financial supervisors, such as the National Bank of Belgium as banking supervisor, and the Financial Services and Markets Authority as markets supervisor. The Brussels Court of Appeal has exclusive jurisdiction for such appeals. Since the establishment of the single supervisory mechanism (SSM) and the single resolution mechanism (SRM), eurozone banks are also subject to the supervision and rules of the SSM and SRM. The respective key regulators (i.e., the Frankfurt-based European Central Bank for the SSM and the Brussels-based Single Resolution Board for the SRM) have far-reaching supervisory powers that may directly affect individual banks. Disputes in this area can be brought, and have effectively already been brought, before the European courts in Luxembourg. The 2008 financial crisis led to a number of mis-selling claims in Belgium, including by corporates and institutional investors. Before the transposition of MiFID in Belgian law, the generally accepted view was that financial institutions had considerable contractual freedom to limit their liability for mis-selling claims by institutional investors, including for gross negligence. The only limitation was the financial institution’s own fraudulent or wilful misconduct. Under the MiFID I rules, as transposed in Belgium, banks may not exclude their common law liability in contracts with non-professional clients regarding portfolio management services.3 A few legal scholars have raised the question of whether this prohibition should be extended to certain other contracts entered into by financial institutions, including with institutional investors. This view seems questionable, as the contractual freedom to limit or exonerate contractual and tort liability in the context of a sale of financial instruments by financial institutions to institutional clients still exists, subject to the traditional exception of fraudulent or wilful misconduct. As mentioned in Section I, above, banking litigation is significantly impacted by regulatory legislation, most notably the current MiFID I rules and their transposition in the respective national laws of the Member States, such as in the Law of 2 August 2002 in Belgium. While MiFID I aims to lay down harmonised rules for the protection of investors throughout the European Union, it does not harmonise the civil consequences for the investors concerned in case of a breach of one of these rules by the bank. The Court of Justice of the European Union (CJEU) confirmed this on 30 May 2013 in the Genil/Bankinter case. The CJEU nonetheless referred to two principles that relate to the civil consequences of MiFID I breaches that EU Member States need to apply when transposing MiFID I. First, the principle of effectiveness requires that Member States ensure that mechanisms are in place for the payment of compensation or other remedial action in case of financial loss or damage suffered as a result of an infringement of the rules. MiFID II (see below) now explicitly codifies this principle (see Article 69(2), last paragraph of the MiFID II Directive). Second, the principle of equivalence requires that Member States must, for breaches of EU law (e.g., the MiFID rules), provide for the same remedies and procedural mechanisms to affected persons as those that exist for breaches under purely domestic law. The MiFID I legislation has been substantially amended and upgraded by the MiFID II legislation. Contrary to MiFID I, which consists of an EU Directive, MIFID II consists of two different legal instruments: a Directive,4 which requires transposition in the respective national laws of the EU Member States, and a Regulation,5 which contains directly applicable rules for the trade and regulatory transparency requirements applicable to investment firms, regulated markets and data reporting services providers, which will uniformly apply throughout the EU without the need for further transposition in domestic law. MiFID II increases the level of protection for professional clients by bringing them under the umbrella of certain information obligations that are currently already applicable to retail clients under MiFID I. MiFID II also imposes new disclosure obligations in relation to the execution policy of a bank. The bank will have to explain in a clear, detailed and understandable manner how orders are executed. The requirement for prior express consent from the client for certain transactions will also be broadened. These requirements might, in case of problems with transactions, trigger claims by clients that they did not give proper consent and that the transactions should therefore be declared null and void because of a lack of consent. Another area that is often a bone of contention in banking litigation regarding investment services concerns the level of knowledge and experience of a client in relation to the financial instruments that are the subject matter of the transaction (i.e., issues revolving around ‘appropriateness’ and ‘suitability’). MiFID II will also increase the banks’ duties in this area. EU Member States, including Belgium, must transpose the MiFID II Directive into their respective legislation so that it may be applicable as of 3 January 2018 (the original deadline given in Article 93(1), second paragraph of the MiFID II Directive was 3 January 2017). Draft legislation to this effect is currently under discussion in Parliament. 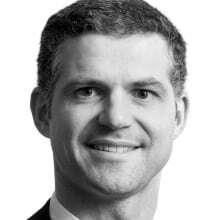 1 Stefaan Loosveld is a partner at Linklaters LLP. The information contained in this chapter is accurate as of August 2017. 2 Directive 2004/39/EC of the European Parliament and of the Council of 21 April 2004 on markets in financial instruments amending Council Directives 85/611/EEC and 93/6/EEC and Directive 2000/12/EC of the European Parliament and of the Council and repealing Council Directive 93/22/EEC (OJ L 145, 30 April 2004, p. 1). 3 See Article 20, Section 4 of the Belgian Royal Decree of 3 June 2007 setting forth specific rules for the implementation of the directive concerning markets in financial instruments. 4 Directive 2014/65/EU of the European Parliament and of the Council of 15 May 2014 on markets in financial instruments and amending Directive 2002/92/EC and Directive 2011/61 (OJ L 173, 12 June 2014, p. 349). 5 Regulation (EU) No. 600/2014 of the European Parliament and of the Council of 15 May 2014 on markets in financial instruments and amending Regulation (EU) No. 648/2012 OJ L 173, 12 June 2014, p. 84.